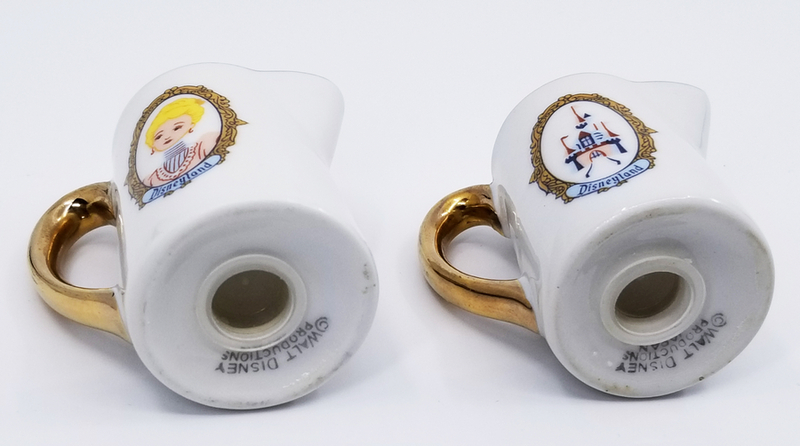 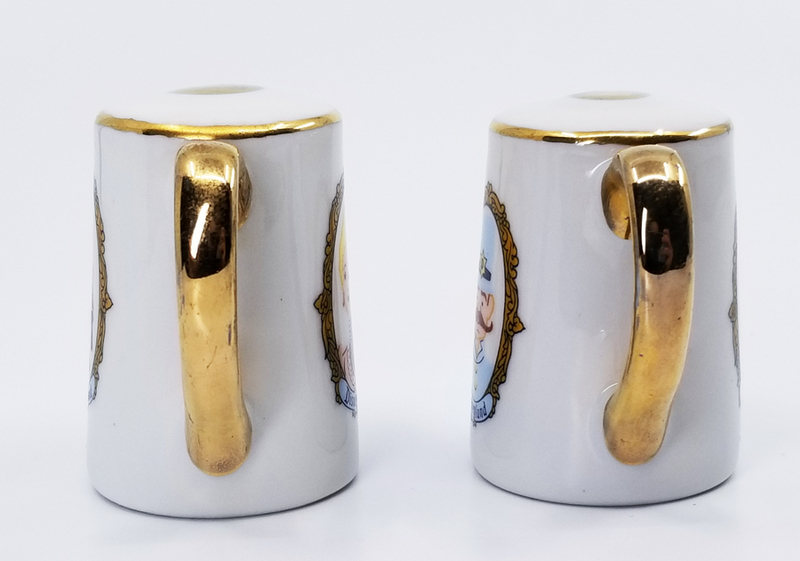 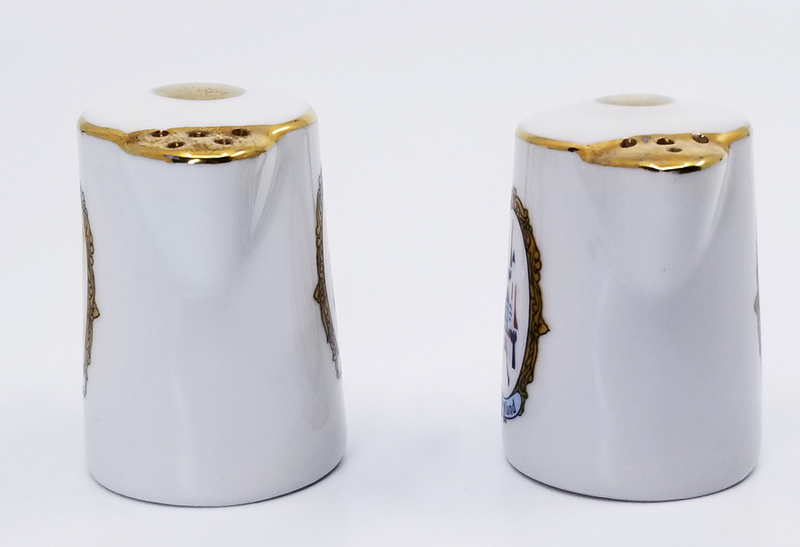 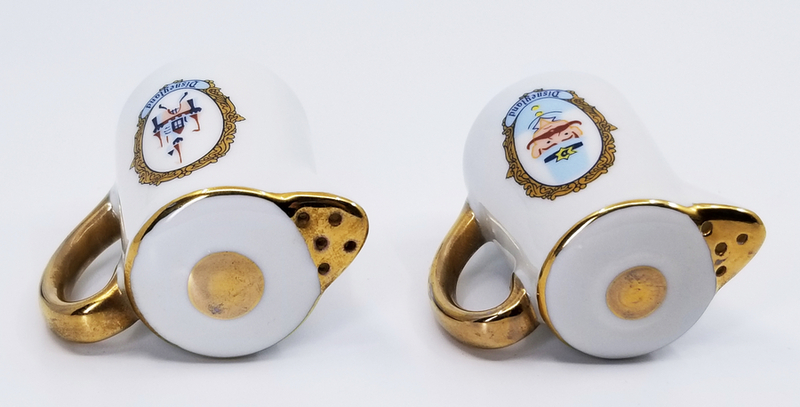 2" x 2.25" x 1.25"
This is a set of vintage salt and pepper shakers from the 1960s. 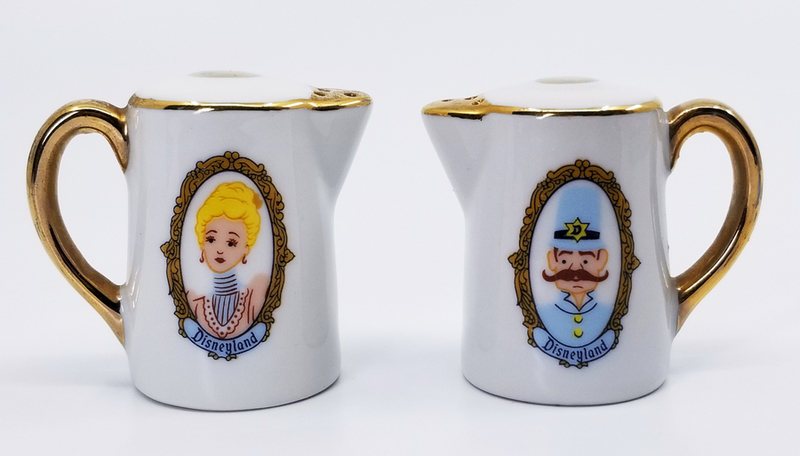 This set was sold at Disneyland at souvenirs and depict Sleeping Beauty Castle and a very well dressed man and woman on two ceramic pitchers. 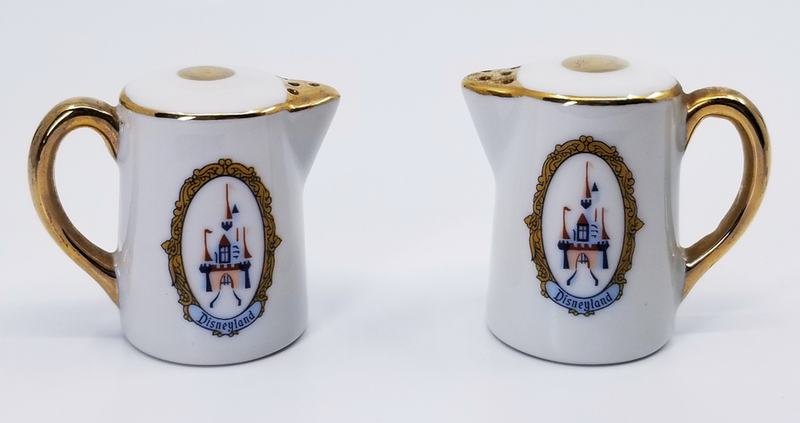 Each shaker measures about 2" x 2.25" x 1.25" and is in very good condition.